Safer Internet Day, to raise awareness around online safety and promote safe and positive use of digital technologies among users. This year, in India, we are dedicating the ‘Safer Internet Day’ to the efforts of thousand of young kids from across the country who with their creative submissions - involving lots of effort and many amazing ideas - helped us spread the message of internet safety and good digital citizenship. Three months ago, we invited teenagers to join the select club of Web Rangers- guardians of the Internet galaxy chosen from across the globe. Since then, we’ve held workshops in multiple cities across the country where teens learned about safer and smarter Internet use, and how to spread the word creatively on the Internet. The Web Rangers contest is a platform to enable these young adults to become good digital citizens and empower their friends and families to have a safer and meaningful digital experience. Today, we are felicitating winners of the second edition of the Web Rangers contest. This year, we had submissions from thousands of students from over 500 schools, including government schools, across 40 cities. To provide kids across age-groups an equal opportunity to present their creative ideas, this year's competition saw submissions in three different categories of a campaign, a project and poster making. Winners in each of these categories stand to win Chromebooks and tablets. Spreading awareness and making people realize how unsafe they actually are in this Cyber world, he conceptualized and successfully executed an interesting mix of social and offline campaign, ‘DIGITERATE’ involving outreach on social media platforms, quizzes, slogans, daily tips, videos, sessions around Internet safety and even road rallies to spread the message. 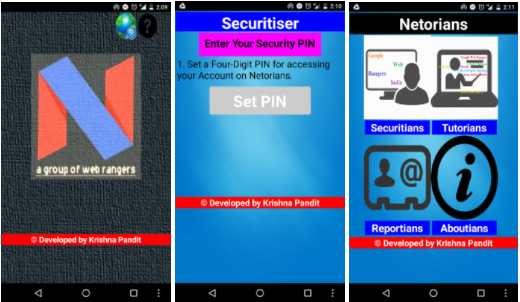 Krishna is committed to build “A Smarter Internet World” and for the purpose he has created an Android app, “NETORIANS”, to better connect and help users spread the word about internet safety. The App features, voice integration alongwith options like ‘Tutorians” and “Reportians” to share information and report any cyber safety related issues. In addition, “Transian”, “Passwordian” and “‘Savian” features on the app will help users translate content, generate passwords, and also keep their existing passwords safe. Internet is not what we think it is and what we see! And Do you click on websites prompts without carefully looking at it- Think Again. 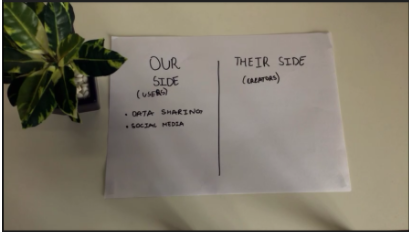 Here’s one of our Web Rangers Arnav beautifully explaining the two sides of the internet - Our side (Users) and Their side (Creators) and how you can avoid any outside threats from malicious content, prompts, hackers and viruses. Do you think a ‘short and simple’ password is safe enough? Think again. 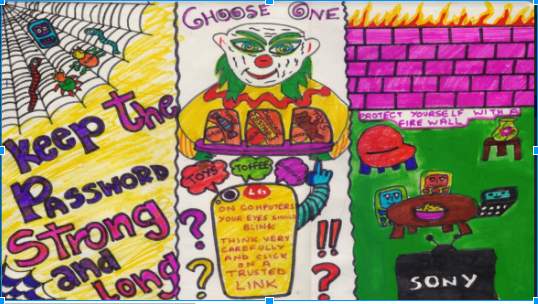 Sarthak Gupta with his colorful submission teaches us the basic tips to be safe on the internet by having strong passwords, active firewall and avoiding clicks on untrusted websites or links. Additionally, in India, where several new users are coming online everyday, we have been working on multiple initiatives to raise awareness about internet safety. In the last one year, we have conducted a national train-the-trainer program for consumer activists from 20+ states in New Delhi in collaboration with consumer voice. Over 1000 trainers from 24 states comprising of consumer activists, lawyers, students and IT professionals were trained on the basics of internet safety. Most recently we created an internet safety curriculum that will be integrated in the formal school curriculum in Goa. So far we have trained 460 teachers across the state and 80,000+ students will be trained on internet safety each year. We will continue to work on ways to give users a safe and trusted online experience. But there's also a lot that you can do to protect yourself. Today, on Safer Internet Day, take a quick Security Checkup, an easy way to review and manage your Google Account’s security settings and keep your Google Account even more secure by visiting privacy.google.com. A big thanks to all the finalists for sharing their creativity with us. And huge congratulations to our winners. These brand ambassadors of “safer internet” teach us something new every day. Every year, we celebrate Safer Internet Day, to raise awareness around online safety and promote safe and positive use of digital technologies among users. 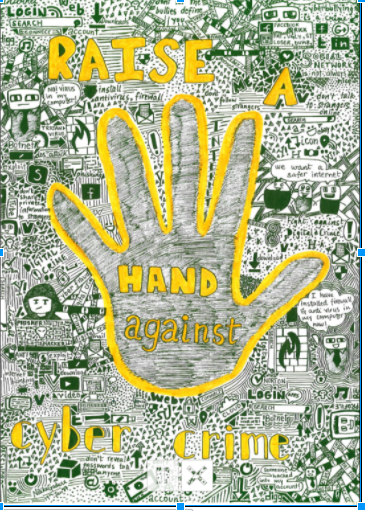 This year, in India, we are dedicating the ‘Safer Internet Day’ to the efforts of thousand of young kids from across the country who with their creative submissions - involving lots of effort and many amazing ideas - helped us spread the message of internet safety and good digital citizenship.